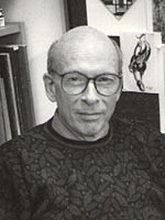 Carl Goldstein is an art historian and art critic. His publications in art history include two books, Visual Fact Over Verbal Fiction: A Study of the Carracci and the Criticism, Theory, and Practice of Art in Renaissance and Baroque Italy (Cambridge University Press: 1988) and Teaching Art: Academies and Schools from Vasari to Albers (Cambridge University Press: 1996) and articles published in journals in the US and abroad, the Art Bulletin, Art Quarterly, Burlington Magazine, Zeitschrift für Kunstgeschichte, Atti e Memorie, Accademia Clementina, and others. His art criticism has been published in Art International and Arts, and museum and gallery catalogues. He has been a guest lecturer at the National Gallery of Art, Washington D.C., the Walters Gallery, Baltimore, the Liebieghaus, Frankfurt, Germany, and the Louvre, Paris, France. In 2001 he received the Research Excellence Award of the University of North Carolina, Greensboro. His present project is a book on the printmaking revolution in early modern France.